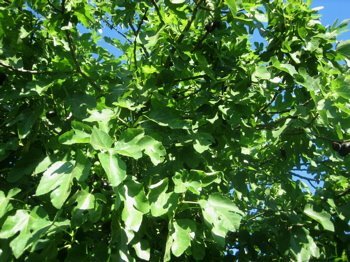 The first time I saw my friend Patrick picking figs was about eight years ago. I was working at Bouchon, just about a mile up the road. We met when he knocked on the kitchen door bearing cherries. The best ones I have eaten to date. When cherry season ended my chef prodded me to find out what else he might be growing. A handsome, quiet man, Patrick was new to the "farming thing" and after a few invitations to "look and see for myself what else was in the ground," I showed up with an eager extern from garde manger. "The farm" is Massa Ranch. 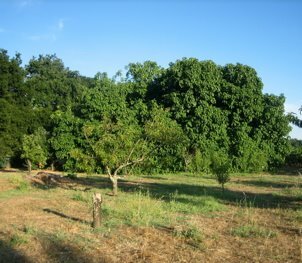 A little over 40 acres planted with various wine grapes and a sprinkling of these fruit and nut trees: French prune plums, pears, apples, peaches, English walnuts, Santa Rosa plums, four varietals of cherries, almonds, figs, quince, persimmons, and some wild plums. The farm is sandwiched between highway 29 and the Napa River. A little one-car bridge is built over Hopper Creek, full of water in the rainy season. Patrick spent two years fulfilling a massive Riparian Restoration grant from the government, upsetting (wine-maker) neighbors who would rather see no trees along the rivers, creeks and streams, but pleasing the many animals in the sky and on the ground who need the waterways' natural habitats. 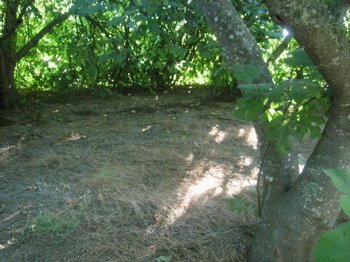 New trees grow in tall summer grasses, and my dogs zig-zag through, catching and eating unlucky ground squirrels, or picking up the scent of coyotes and rabbits. Raptors and owls sometimes startle and awe, dive-bombing for prey. 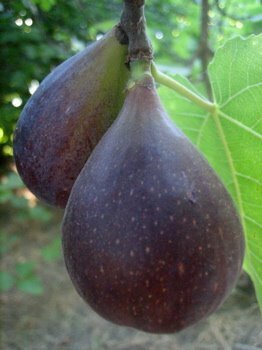 Before you see the figs you smell them. A wall of perfume that is thousands of leaves pushing out towards the sun, upwards to the undivided attention of skies that drape the intimate valley floor. Thick, oily musk reminiscent of coconut, spicy, intoxicating fig leaf perfume. 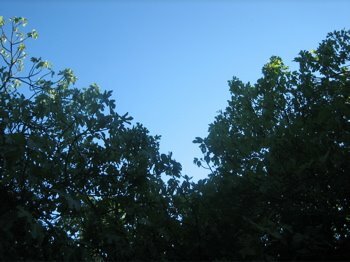 And then you see the mass that is not one fig tree but six, spaced like a faerie ring. Taller than tall, broad, immense, impossibly dense. A city of Black Mission figs. You walk towards this natural structure. Where does it start and end? You walk around it, find an opening and step inside. Quiet, cool, damp. Speckled light dances through leaves. Stained glass. You're in the fig church. The first time I saw Patrick picking figs I heard the activity first. The barn doors were open, a cave of darkness traveled farther than I could see. Fantastically loud opera flew out of its cool lightless mouth. Isaac, Patrick' eldest dog, greeted me with what felt like a mime of barked greeting. All I could hear was the full throat opened singing, lungs vibrating with foreign language. Directly across from the barn is the "Suddenly Seymour" that is the fig clatch. Patrick's figure barely cut an outline at the top of a very tall orchard ladder. 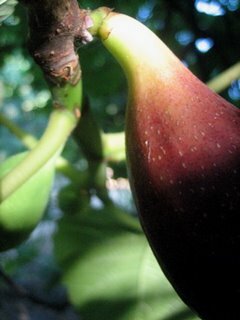 I tasted my first fresh fig only 14 years ago. It felt revelatory. How could I have been missing this sumptuous fruit my whole life? I cut one in half and placed it on my cutting board in a safe spot. I was working at Lulu, kitchen of many sous chefs and cooks. People tried to eat my fig. "No, it's here so I can look at it. Isn't it beautiful?" "Shuna?" "Yes chef?" "You're crazy." "Yes chef." Like most extra ordinary fruit, the best specimens reside in the uppermost branches. When I approached the trees today our youngest dog, Abu, came along. 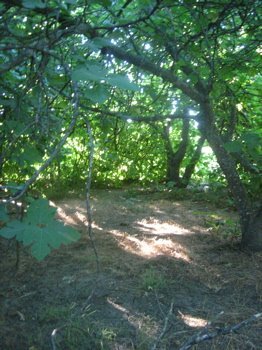 Closer to the ground, he sniffs out the ripest fruits tucked invisibly in the folds and layers. Standing at the door it appears that there are no ripe fruits. Just two steps in will reveal a completely different story. 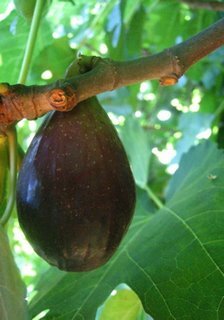 Just a few inches in exposes endless numbers of figs nearing the eggplant-purple skin color that announces their ripeness. This is what it will look like if a bird has found it before you. The most avid pest a fig farmer has to deal with is the pesky bird. 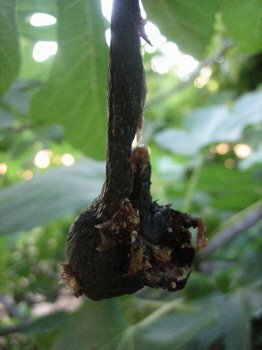 An indiscriminate palate, the bird takes a peck out of this and that, ruining all the figs (for humans) by exposing them to mold and ants and bees. 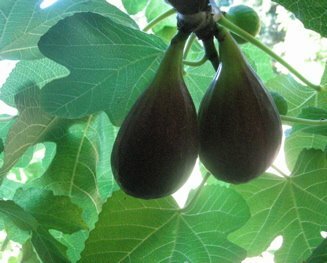 How can you tell if the fig is ripe? "It should feel like a testicle." Patrick says. You can also tell by the way it hangs on the branch. Before they ripen they stick straight out, defying gravity. When they fill with honeyed sweetness it's as if the fig begins to dehydrate, concentrating itself and becoming lax. This fig is not yet ready, but it has just begun to fall and the stem end is bent downwards. Fig trees have three pregnancies, bearing fruit well into a Northern California fall if the weather is right. 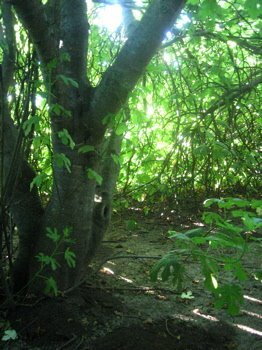 Like camels, fig trees need scant watering if the rainy season gave them a good soaking in their leafless stage. This is why the first crop tends to premier larger, less intensely flavored fruit than the following two. I like the second crop best, or figs from the first crop that have survived on the tree a bit longer. I eat them out of hand because I rarely have more than I know what to do with. If this situation arrises I like to sear them face down in a bit of olive oil and finish with a caramelizing-deglazing of balsamic vinegar. If turning on the stove feels akin to putting your head in it, like in this 100+F heat, slice some tomatoes, season lightly with great salt, spread fresh bread with murky green olive oil and/or cool chevre, sprinkle sliced figs with balsamic and have an open-faced sandwich. A number of farmers at Bay Area Farmer's markets grow and sell figs of various color, sizes, textures and sweenesses. I wish you good luck in your own fig hunting! Click on "Figs" in this link to find out which farms bring them to The Ferry Plaza Farmer's Market.